Well, we are onto part 3 of the UDL blog series and we are ready to share with you our findings and practical takeaways for the second principle in the framework, ‘Engagement’. Hello to those of you who have been on this journey with us and read the two blogs prior to this one. For those of you who want to catch up on this series, check out the first introduction blog here and the blog on the first principle of ‘Action and Expression’ here. Engagement is a crucial element of a learning experience and each of us differ significantly in the ways in which we become engaged. Neurology, culture, personal relevance, subjectivity or even background knowledge can impact our levels of engagement (CAST, 2018). Some of us may become engaged by spontaneity and unfamiliarity where as others become disengaged or even frightened by this and prefer familiar and structured experiences (CAST, 2018).This is why it is important to cater for a diverse range of learners. Let’s get into what we found. Offering learners choice can enable them to develop self-determination, pride in accomplishment and an increased personal connection to the learning (CAST, 2018). Do you want to be forced to learn something in a particular way? Thinking back to when I was at university, I had to write things out on paper in order to memorise and comprehend the information effectively. If a lecturer had forced me to only type my notes, I would have lost interest in the learning and most likely accepted that I was going to fail. If your learners experience this, you can wave their engagement goodbye. Involve learners in the design process. Give learners choice in how they practice their skills (e.g. speak to a mentor, write in a notepad, explore YouTube videos). Imagine being tasked with completing a learning experience that has no relevance to your life or goals? Would you feel motivated to complete it? Learners are engaged by information that is relevant, captures their interest and that adds value to their lives. Every learning experience they complete should show them why it’s worth their time. Expressing the ‘why’ in your eLearning module is a concept that we are passionate about at Belvista Studios and if you are interested, we recommend checking out our blog, ‘Explain the Why and Increase Motivation’, to find out how you can apply this to your eLearning solutions. Deliver information in a way that is personalised and contextualised to the learner’s life. To do this we believe it is crucial to gain a deep understanding of your learners. To support you in doing this, check out this blog on, ‘The Art of Human Centered Design’ as well as this blog on ‘How to Conduct Successful User Interviews’. If you are wanting to delve deeper into the topic, you can also watch our team discussion on, ‘The Deep Dive: Human Centred Design’ on YouTube here. Deep Dive Human Centred Design YouTube Video by Belvista Studios. This is a really interesting consideration and to be honest, one that we may not think about often enough at Belvista Studios (until now of course!). The UDL Guidelines explores the concept of a safe and distraction free environment for learners. In the case of eLearning, this would mean that learners are able to complete the learning experience in an environment that supports their learning. The difficult thing about eLearning is that once we release the learning experience, we don’t always have control over where or when it’s completed by learners. This is great in terms of flexibility for learners, however, not so great for ensuring an adequate and distraction-free, learning environment. Not only could the environment be distracting, the skill level of the learner with technology could also impact their experience. For example if you ask a person who never uses a computer to complete an eLearning module on a computer, it is likely that they may struggle to some extent. An example of how we have dealt with a situation like this was when we created an eLearning experience for groundsmen at a school. We were advised that the groundsmen didn’t use computers in their role. With this knowledge, we delivered the online learning experience in a group face-to-face session. 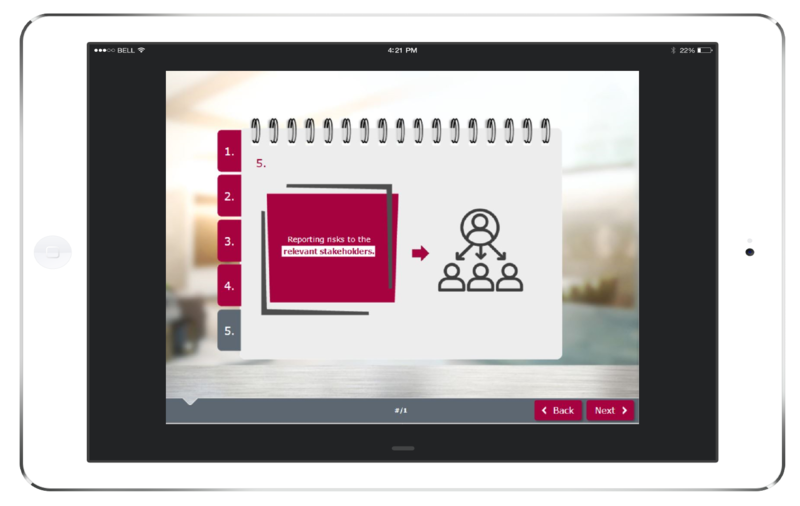 The online learning was designed in a way that enabled supervisors to display group activities and reflection questions on screen using a portable iPad. This learning experience was better suited to the style of interaction and learning that the groundsmen were used to at work and helped minimise potential threats. Screen from the group discussion groundsman eLearning module by Belvista Studios. Have you ever been completing a learning experience and found yourself in a whirlwind of content, only to stop and think, “What is the point of this?”. Within a learning experience there are often numerous sources of content and objectives that may compete for attention or effort (CAST, 2018). This is why it is important to remind learners of the initial goal and overall intent of the learning experience, to maintain their engagement and motivation. You may compare this to going on a diet, becoming overwhelmed by your hunger and fighting for mental strength, however, as soon as you look at a ‘goal’ photo of the body you have always wanted, you may get a renewed spark of motivation. Prompt the learner to restate the goal through reflective questions or activities. Encourage short-term objectives to reach the long-term goal. This one is an interesting one and it’s a concept that we consider often in our projects at Belvista Studios. The alignment of the challenge and the resources available to support the learner in completing the challenge is crucial to maintaining their motivation and engagement. You can’t expect a learner to successfully complete a task without the appropriate resources and you can’t expect a learner to maintain motivation if the resources provided result in the challenge becoming too easy. You may have experienced the dissatisfaction and disengagement of a game that was either too easy or too hard, the same goes for learning experiences. Allow learners to tell you their level of knowledge and adjust the content to suit. Ensure that you have provided the learners with the necessary resources to complete the challenges they face. The UDL Guidelines discuss the importance of learners communicating and collaborating effectively with a community of learners (CAST, 2018). We as human beings, have learnt complex lessons from each other through knowledge sharing, story-telling and modelling. Whilst eLearning may be commonly known as a solo activity, it doesn’t need to be that way. When structured well, peer cooperation can significantly increase the engagement and motivation levels for learners as a result of the support that it offers (CAST, 2018). Encourage learners to collaborate with their peers or supervisors outside of the online environment. An example Belvista Studios module encouraging social learning outside of the online environment. Mastery-oriented feedback refers to a specific type of feedback. Its aim is to encourage effort and practice over inherent ‘intelligence’ or ‘ability’ (CAST, 2018). If you have heard of the fixed versus growth mindset, this may ring a bell. This distinction is particularly useful for learners with disabilities that may be perceived by themselves or others as permanently constraining and fixed. Be informative rather than comparative or competitive. That’s it for this blog. We hope that you have gained value from the information and practical takeaways. Keep an eye out for the last blog in this series on the third principle from the framework ‘Representation’. If you have been implementing takeaways from this blog series we would love to hear about it. If you would like to discuss the UDL in more detail, contact our passionate founder, Kim Tuohy via kim@belvistastudios.com or on LinkedIn. Technology is constantly changing and advancing the way we live. The impact is visible, all you need to do is go out into the world and observe. Almost everyone has a smartphone and many of us are completely immersed in the technological world it offers. You are able to chat to your connections on-the-go, browse a constantly updated library of information and immerse yourself in a digital environment through virtual reality (VR) technology. Basically you can get what you want, when you want it, whether it’s an Uber to take you from A to B, a delivery of your favourite food or the ability to listen to an audio book or podcast that sparks your interest. Technology really has changed the way we live. As you can probably imagine, this advancement in technology has a ripple effect on the world of learning and development. Do you remember being at school and learning without an iPad or laptop? Do you remember asking your teachers questions because we didn’t have Google to provide us with instant answers? Ripple by ripple technology has integrated itself into the learning world and more recently the team at Belvista Studios believe these ripples have turned into a rather large wave. A wave full of shiny and new technological assets. Augmented reality (AR), VR, mobile learning, videos and gamification, just to name a few, have taken a front row seat in the world of learning. A couple of weeks ago, our team walked into Learning Technologies, Europe's leading showcase of organisational learning and technology, and for us, this is when the technological ‘wave’ became evident. If you had seen us walk into the conference, you might have even seen the stars in our eyes, looking around in awe at the demonstrations of VR, AR, interactive meeting platforms and gamified solutions. There were people on video writing us live messages on screens, trivia games bursting with eye catching designs and quirky sound effects and displays of subjects navigating immersive technological environments. Yes, these offers of advanced technology were great and we do believe technology is pivotal to the learning world in our day and age (we are an eLearning studio after all!) though what we see as most important, is solving the core problem. This thought has inspired us to put new technology to the side and revert our focus back to what is most important, the foundations of learning design. We believe that if you get this part right, learning technology will be utilised at its highest potential. Think of it this way, if you give someone the fastest car in the world, does this mean that they will win the race? Well no, if the person doesn’t know how to drive, then the fact that they have the fastest car means nothing. The same goes for learning technologies, you may have the most futuristic and effective technology, however, if it doesn’t incorporate the content needed to meet the learning objectives, its potential will go untapped. A seminar that we attended at Learning Technologies read our mind and brought us down from the clouds of the shiny and captivating technologies on offer around us. They reminded us to not compromise good design for the sake of using modern tools and trends and it’s what we learnt from this session that we would like to share with you in this blog. ‘How to create great digital learning that works’ seminar presented by LEO Learning, at Learning Technologies UK 2019. Similar to Cathy Moore’s Action Mapping process, LEO Learning discussed an approach that focuses on the importance of linking learning solutions to actual measurements of value. - Business goal: Was the goal achieved? - What do people need to do? : Are people doing that? - What do people need to learn? : Have they learned it? - What training is required? : Did they complete it? Here is how you can apply each of these measurements of value to your learning solutions. Why is the training being created in the first place? This is a simple question that enables you to step back and review the purpose of the training. The design of your learning solution should always link to the overarching business goal. (e.g. decrease customer complaints by 50% by the end of 2019). 2. What do people need to do? Rather than focusing on the content that you need to include in a learning solution, map out what people actually need to ‘do’ to meet the business goal. Are people doing what they need to do now? If not, why not? Take the time to explore this. (e.g. staff need to demonstrate active listening and be aware of where to find the answers to customer questions). 3. What do people need to learn? In order for learners to do what they need to do post the learning experience, what do they need to learn? (e.g. active listening techniques and directions on how to access information for customer questions). 4. What training is required? What training do learners need to complete in order to meet the learning objectives/business goal? How will you track that they have completed it? (e.g. staff need to complete active listening training and be provided an information sheet on accessing information for customer questions. Completion will be tracked through a Learning Management System (LMS)). So, before you get caught up in the new technology that the learning and development world has to offer, be sure to put effort into the initial learning design. Through applying measurements of value to your learning solutions, you will be able to observe the value that your learning solution is bringing and most importantly whether it is meeting the business goal (which is the purpose of the learning being developed in the first place). Once you know that the design of your learning brings value, you will be able to jump back into that exciting whirlwind of new technology with the confidence that your learning will not only incorporate new and exciting technology, it will also solve the core problem. Remember, you can’t rely on the fastest car to win the race, a combination of a talented driver is what is necessary and in this case, good learning design is essential to the success of learning technologies. If this blog has sparked your interest, you have questions, or you are considering using the principles for your eLearning solution please don’t hesitate to contact our passionate founder, Kim Tuohy on LinkedIn or by emailing kim@belvistastudios.com. LEO Learning. (2019). How to create great digital learning that works. Presentation, United Kingdom. How Can I Create Interactive eLearning? We’ve all been there before. You’ve just started at a new job and have to sit through an induction ALL morning before you can get stuck in and find out whether or not the new place stocks the good coffee and biscuits. Or perhaps you’ve had to complete a course on fire safety all because Alan decided it was a good idea to try and heat up his sausage roll in the toaster. You take a seat and the course begins (along with your mindless clicking). Next. Next. Next. Next. Next. Read More. Yes. Next. This carries on until you finally see the ‘Finish’ button, a shining beacon of light at the end of the tunnel. You wander off down to the kitchen before any more ‘Read More’ buttons can steal precious minutes out of your day. You know exactly what I’m talking about don’t you… So what can we do about this? To start with, we can explain to Alan the dangers of using a toaster for anything other than, well, toast… but more importantly, we can talk about the importance of using interactive learning and how you can incorporate this into your learning to ensure that your learners will actually take positive action after their training experience. The good news is that by introducing more interactive components to your learning, you are encouraging active learning to take place, which will keep the learner engaged from beginning to end. The (less appealing) alternative, would be to overload the learner with screen upon screen of uninterrupted text for them to read and click through, which would be classed as a passive learning experience (eLearnhub, n.d.). Passive learning can make it difficult for the learner to recall the information once the experience has been completed (Laskaris, 2015). So, now you might be wondering what does this actually look like? One of the key elements of a successful interactive eLearning experience is the potential for learner exploration. You want the learner to be able to navigate the course in a way where they feel in control of the experience. If there are multiple stages to be completed, you could create a homepage where the learner can decide which area they want to explore first (Procter, n.d.). You could also give them different options to find information such as including buttons for additional reading, resources or different tabs that they can navigate between (Gutierrez, 2012). Let them find the content. Curiosity may have killed the cat but it also engaged the learner! Secondly, give the learner the opportunity to complete exercises or activities that will keep them engaged. Develop interactive quizzes and tests and include options for drag-and-drop answers or point-and-click games (Pappas, 2014). There is no manual saying that you need to stick to true/false questions or have 10 multiple choice; make your own rules! If it’s not going to add value then don’t include it as the learner will not benefit from it. If you think you can cover the content required in 3 questions, then that’s what you need to do. Keep it interesting and you will keep the learner engaged. Last but not least, we suggest using real life scenarios. Creating an interactive activity that is based on a real-life case or scenario can be one of the most effective ways to get the learner to retain the information. By using a real-life case study in an online learning environment, you are allowing the learner to gain a deeper understanding of the content in a “non-judgemental, risk-free learning environment” (Laskaris, 2015). This will better prepare learners for the experiences they will have when carrying out their day to day role. See, it’s not so hard! Taking small steps like this to increase the level of interactivity in the learning you create will have a dramatic impact on the results you will see from the learning. Not only that, but it will also give the learner a feeling of accomplishment when they complete the learning (Learning Pool, n.d.). So have a go, get creative with your learning and see the difference it can make – the possibilities really are endless! If you do have any questions about applying this within your projects, chat to Kim Tuohy, our passionate Founder. You can contact Kim at kim@belvistastudios.com. As we came to the end of 2018, many of us were reflecting on the year we had just had. Our achievements, what we learnt and the connections we had made. At Belvista Studios we love this time of the year because it means we can pause and take a look at what we have achieved as a company, the valuable connections we have made in the industry and the learnings we have had. 2018 was a year of learning, discovery and experimentation at Belvista Studios, so we decided to jump on the bandwagon and share our year with you. Don’t worry this blog isn’t about us talking about ourselves, the intent of our reflection is to share with you, the principles, frameworks, designs and tips that inspired us the most. We hope that this blog will spark new ideas and provide you with tangible takeaways that you can use for your projects in 2019. So without further ado, here are the top takeaways that Belvista Studios took from the eLearning world in 2018! Adobe Flash Player coming to an end was of great interest to us at Belvista Studios. Whilst it didn’t provide us with design inspiration or a new eLearning framework to use, it was a cold hard fact that we knew would impact us and most importantly our clients. We discovered that the end of this common player would result in some eLearning not working, leading to potential non-compliance, time wasted dealing with technical glitches and even legal implications.This is why we spent the time to research the impact of the announcement and put ourselves in the best position to support our clients, old and new, through the transition. 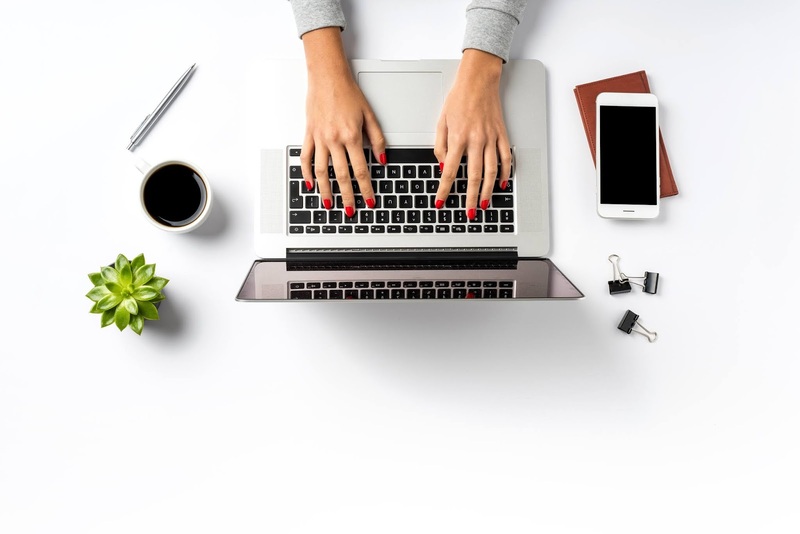 If you look after eLearning in your organisation we suggest checking out our blogs that provide you with an explanation of the transition as well as clear instructions on how to save your eLearning. If you know someone in the industry who looks after eLearning, be their hero and let them know! Here are the blogs we recommend checking out. We are not going to lie, at Belvista Studios, we became absolute fangirls of UX in 2018. Each of our team members found themselves booking into session after session to learn as much as they could about the process (and boy, did they love it!). In a nutshell UX is all about designing for the end-user, putting yourself in their shoes and putting great effort into designing a valuable experience for them. We like to be practical in our blogs, so you have something you can use for your projects. With that in mind, we would like to share with you, our top UX tool that we use when designing eLearning solutions. This involves collecting as much information as possible about your end-user so you can gain a deep understanding of who they are and what their experience of using your product/learning solution would look like. We absolutely love this free online persona tool by Hubspot and find it very useful for our projects. Check it out here https://www.hubspot.com/make-my-persona. To discover more about how you can use UX for your learning solutions, check out this blog on ‘Two Awesome UX Tools When Starting a Learning Solution’. As learning professionals, our work life revolves around planning, developing and delivering learning solutions that make a real difference in the lives of our learners. A challenge that is associated with this is creating enthusiasm and ‘buy-in’. You can create the most valuable learning solution out there, though if your learners aren’t motivated to complete it, its potential goes completely untapped. This is why we went on a mission as team to discover the key to human motivation. Marketing techniques stood out to us and we grabbed them by the reigns. Here are our top marketing techniques that we recommend utilising when designing an eLearning solution. Before you jump into designing a learning solution, spend time collecting data that can help you gain a deep understanding of the problem you are trying to solve. Making decisions using data enables you to design and advertise your learning solution in a way that appeals to the people who will be using it (Wallace, 2017). In the learning and development world, you can collect data through interviews and observations as well as through the exploration of documentation and processes related to the problem. Check out this blog on ‘How to Conduct Successful User Interviews to Get the Information You Need’ to discover how you can collect data on your end-user, in turn enabling you to design a solution that is aligned to them. You are not going to buy a product if you don’t know how it can positively impact your life, so why should we expect our learners to complete learning without knowing ‘why’? You buy food because you know it will satisfy your hunger, you sign up for the gym because you believe if you go you will look and feel healthier and you learn a new skill because you know you will require it at some point in your life. You need to be able to clearly articulate what you do, why you do it and how the learnings you offer will positively impact the lives of your learners (Akhundov, 2017). If you understand your ‘why’ as a learning and development team, your learners can begin to build trust in what you offer. We have been very interested in expressing ‘the why’ at Belvista Studios (Hannah is a dedicated Simon Sinek fan, for anyone who knows ‘Start with Why’!). If you are interested in understanding how you can discover and explain ‘the why’ for each of your eLearning solutions check out this blog on ‘Explain the Why and Increase Motivation'. Those were our top three eLearning tips from 2018. It was hard to narrow down our learnings to three because we feel that we have been lucky enough to be exposed to amazing content, frameworks and principles through blogs, LinkedIn, conferences and last but not least the amazing connections that we have made in the industry. We hope that this short and simple overview of some of our favourites added value. If you want to explore the other golden nuggets we found in 2018, feel free to check out our blog platform here. If we could leave you with some final tips as an eLearning designer it would be to always be curious, connect with people in the industry and share your learnings with others (because what goes around comes around). What did you learn in 2018? Share in the comments below, we would love to hear about what else is out there! Wallace, D. (2017). 3 Proven Marketing Strategies to Enhance your Next Learning Program. Retrieved from https://www.td.org/insights/3-proven-marketing-strategies-to-enhance-your-next-learning-program. Research has found that global video traffic will make up 82% of all consumer internet traffic by the year 2020 (Training Industry, 2017). Society is engaging with video more than ever, whether it’s through sharing a video on Snapchat, binge-watching a TV series on Netflix, watching videos on Instagram TV (IGTV) or video chatting with friends. Video has become a part of our everyday life. Video is not new to the learning world. We still remember watching educational videos on TVs that resembled the size of a tumble dryer in comparison to the slim plasma, iPad and mobile phone screens of today. It’s not only the platform that we watch videos on that has changed, the videos themselves have evolved significantly over the years. A dull and staged monologue of a person in front of a screen no longer has the impact that it used to. Our modern learners expect more, they know what is possible and they decide very quickly as to whether they will engage with the video or not. At Belvista Studios, we have been incorporating videos into our projects for quite some time and this has enabled us to gain insight into what works and what doesn’t. Therefore, we want to share with you what we have learnt, so that you are able to learn from our mistakes, understand which projects will best benefit from videos and create videos that capture and retain the attention of the modern learner. It is critical that your learners understand how content relates to the real world and videos are a great way to do this (Vzaar, 2013). Whilst a step-by-step list is useful, a video adds a whole other dimension of learning. In this case it would allow learners to see what putting out a house fire would realistically be like. You can read as much information as you like about putting out a house fire, however, you will never quite know what it’s like until you are in the situation yourself. Putting out a house fire doesn’t just involve a step by step process. It involves smoke that makes it hard to breath, a racing heart and potentially distressed and emotionally driven people in your company. Whilst video doesn’t physically put the learner in the situation, it brings them one step closer to what experiencing that situation would be like. The more realistic the learning experience is, the more likely the learner will be able to apply their learnings when they are required in the real world. Next time you have an eLearning project, ask yourself how important it is that the learner has a deep understanding of how the content relates to real-life situations. Also consider if you believe the learner would be confident in achieving the desired behaviour from solely ‘reading’ the content. Asking yourself these questions will support you in discovering the impact of video on the project. One of the best ways that we have seen videos used in our learning projects is through video interviews. If you are designing an induction module, rather then having your learner click through screens of text, show them what the company is really about by enabling them to hear from people within it. Video enables you to not only deliver the information that the learner needs, it can spark emotion, make the learner ‘feel’ something, give them an understanding of the culture, receive practical advice and even enable them to familiarise themselves with key faces in the company. For your next eLearning project, consider if the learner would benefit from hearing first hand from a subject matter expert. We as humans have been learning from each other for years, adding the personal touch of a real person speaking about a topic is a great way to enable the learner to see how the content aligns to the real-world. Curating content can be defined as, “Finding the best content from multiple sources, usually external content, relevant to your topic or audience” (Walsh, 2017). The videos that you include in your eLearning projects do not need to be created by you. “Let’s face it. The internet is made of videos” (Andriotis, 2017). Whilst it is often preferred to incorporate videos that align with your corporate brand and feature content from your organisation, there is a whole world of content out there that could potentially be the perfect addition to your eLearning project. Let’s say you are developing a course on ‘Communication Techniques’. Does YouTube have any videos on ‘Communication Techniques’? Most definitely! You now have an opportunity as a learning professional to incorporate this outside content into your course. Curating content means that you are using content created by others, so don’t forget to reference appropriately! Use existing video platforms to host your videos such as YouTube or Vimeo. The benefit of doing this is that they are responsive and have pre-built video controls. This enables you to present your videos in a simple and organised way. We used Vimeo for one of our recent eLearning projects. The platform provided us with a variety of tools to customise and organise our videos, and in turn enabled us to deliver a great project. The platform allows you to track changes to your videos (specific to different users/team members) so you can monitor the progress of your project, create customisable controls such as volume control, speed control and enabling ‘full screen mode’. You can add your own logo to the video screen and even show suggested videos at the end of each video, directing your learner to more videos related to your project. Another great interaction tool that was available was to incorporate a ‘call to action’ in each video. This can be reflection questions related to the content or you can even encourage the learner to take action outside of the video environment. Overall we found a platform such as Vimeo really useful for organising and customising our videos and would recommend utilising a platform such as this one for your video projects. That’s it for this blog on using video in your eLearning projects. I hope that these tips and insights support you in successfully implementing videos into your eLearning projects. If you are really serious about creating engaging and quality videos, we also highly recommend speaking to a videographer, being the gurus in this space, they know the ins and outs of video production and can support you in delivering a great project. Another tip before we reach the end of this blog is to take the time to scope out the requirements at the beginning of the project. Plan what content should be delivered through the videos, what devices learners will be using to watch the videos and determine whether the videos will require accessibility (video captions etc.) prior to filming. In other words, determine the outputs prior to recording. Video is one of the most engaging eLearning tools available (Andriotis, 2017) and if you see it adding value to an eLearning project, it is well worth the effort to incorporate it! If you have any questions about incorporating videos into your eLearning project, please don’t hesitate to speak to our founder, Kim Tuohy on LinkedIn or by emailing kim@belvistastudios.com. Andriotis, N. (2017). 5 Reasons to Use Video in eLearning. Retrieved from https://www.talentlms.com/blog/reasons-use-video-elearning/. Training Industry (2017). Using Video in E-Learning: Why, When and How. Retrieved from https://trainingindustry.com/articles/e-learning/using-video-in-e-learning-why-when-and-how/. Vzaar (2013). Using Online Video In E-learning – An Effective Learning Tool? Retrieved from https://vzaar.com/blog/2013/02/20/using-online-video-in-e-learning-an-effective-learning-tool/. Walsh, S. (2016). How to Bring Your eLearning Back to Life with Curated Content. Retrieved from https://blog.anderspink.com/2017/06/how-to-bring-your-elearning-to-life-with-curated-content/. A learning experience remains fresh in our mind because it was either really effective or quite the opposite. Just like taking on good advice from a friend, we are always on the lookout for good eLearning principles and examples that we can incorporate into our projects. The longer you are in the industry, the more eLearning you see and this has resulted in our team accruing a toolkit of trusty eLearning principles, designs and concepts collected over time. Now that we have quite a toolkit, we thought it would be valuable to share what we have collected over the years with our community, being you! In this blog, we will discuss our favourite eLearning examples and the reasons behind their success. Society is engaging with video more than ever, whether it’s through sharing a video on Snapchat, binge-watching a TV series on Netflix, watching videos on Instagram TV (IGTV) or video chatting with friends. Video has become a part of our everyday life and this project was a great example of leveraging the platform through a learning solution. We have all found ourselves in a situation where we need to know how to do something. Whether it’s how to create a formula on Excel, fix something or use an unfamiliar program. It is at times like this where people may turn to YouTube (we know we certainly do). A study on the “Values of YouTube” conducted in October 2017 revealed that more than 7 in 10 viewers used YouTube to solve problems (O’Neil-Hart, 2017). Our team agrees that we have each found ourselves on YouTube watching ‘how to’ videos. The video project we co-created was an induction for childcare directors and the intent was to provide them with a timely introduction to the information they needed to successfully manage a childcare centre. Rather than creating a module with screens of text explaining what they need to know, we decided to deliver the learnings in a way that we all do as humans naturally, by sharing with each other. - Interviewed and filmed key contacts in the organisation: We interviewed and filmed key contacts in the organisation and had them share practical advice for the childcare directors. The learning outcomes were achieved through the heart-felt and passionate content shared in the videos. - Incorporated reflection questions: To ensure that centre directors could understand the ‘why’ for the content they were learning as well as relate the content to their own situation, we incorporated action-based reflection questions at the end of each video (relevant to the content discussed). - Created a video reflection handbook: To enable centre directors to answer the reflection questions and make notes relevant to their situation, we provided each of them with a handbook. The handbook included an overview of each video and listed the reflection questions linked to each. This provided the learner the opportunity to write down their thoughts and refer back to the booklet when they needed to. Example reflection questions shown at the end of video interviews - A Belvista Studios Project. We loved this eLearning project because it made great use of the popularity of video and provided a ‘human’ and ‘real’ induction for the centre directors. It gave us insight that you don’t always need to deliver content through dense text on a screen. We, as humans have been learning from each other since the beginning of time and this is a great example of how we can replicate human to human learning in an online environment. At Belvista Studios, we believe that the more realistic the learning experience is, the more effective it is. eLearning allows learners to practice their skills and acquire knowledge in a safe environment so that they can perform in the real world. Creating a solution that aligns to a learner’s reality is important. Through the use of scenarios that reflect the real world this becomes achievable. Prior to starting a learning solution we place importance on meeting with the clients and users that we are creating the learning experience for. This enables us to gain a deep understanding of their situation. Through this understanding we are able to create learning experiences that reflect what is actually happening in the real world. This is an example of a realistic scenario that we created for a bullying and harassment module. The intent of this scenario was to remind employees of the importance of not making assumptions. 1. The learner is faced with a situation and is asked to select what they would do. The answer options were created from data collected from the client and users, so we could be confident that they somewhat reflect the real world. 2. When the learner chooses how they would react they receive more than a correct/incorrect feedback popup. They are asked a question that results in them reflecting on the choice they made. They are also provided with actions that they can take. For example, “You may want to consider saying these things next time”. They can take on these suggestions when they are faced with a similar situation in the real world. 3. This screen shows the learner what was really happening and allows them to view the situation from a different perspective. At Belvista Studios, we are big fans of making content realistic as we believe it is a core motivator for learners. This scenario was realistic in the way it was introduced as well as in how actions were provided for the real world in the feedback. It wasn’t just content on a page, it was suggestions for behaviour change. This eLearning example wasn’t created by Belvista Studios, though it’s one that we couldn’t help but share. Two members of the Belvista Studios team remember completing this learning experience years ago and it continues to come up in conversation. It’s a learning experience that really made an impact on us. We have therefore spent time unpacking what makes the experience so great and use it as inspiration for our own projects. 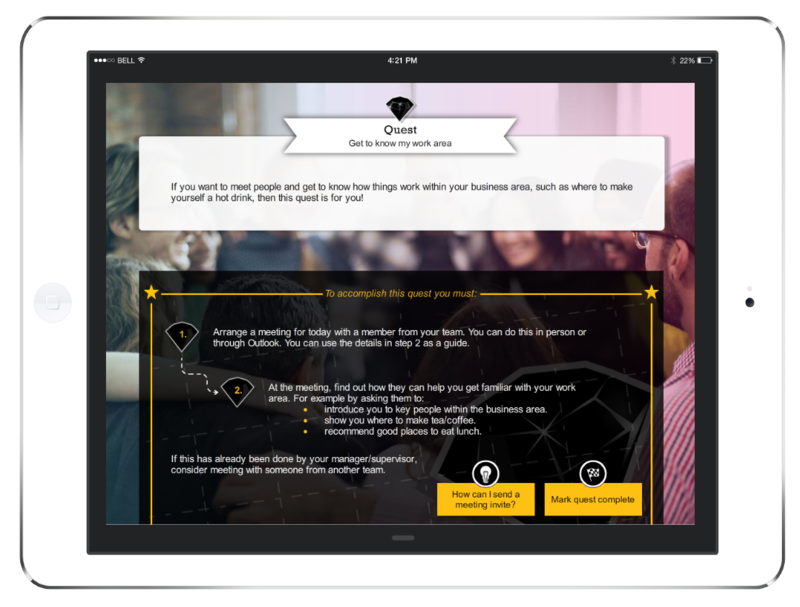 The example is the, “Will you fit into Deloitte” gamified interactive recruitment experience created by Rapt Media. The experience involves viewing a scenario taking place from a first person view and being asked to make decisions, which impacts what happens next in the scenario. - Gives the learner a sense of control: It allows the learner to have some choice and control over what happens in the learning experience. This is one of the best ways to keep them engaged (Staff Writers, 2012). - Has an element of drama: The scenarios have an element of drama that keeps you interested just like your favourite movie or tv series. Whilst saying this, the drama isn’t ‘over-the-top’ and this results in it staying realistic. - Tells a story: Have you ever been listening to a speaker and as soon as they started telling a story felt your attention being captured? Storytelling is powerful and as humans we crave a good story! This learning solution tells an engaging story as it takes the learner through different situations throughout their ‘virtual day’. Sharing is caring, check out the learning solution here. That’s it for this blog on great eLearning examples. What great eLearning have you come across? We would love to hear what inspires you in the eLearning world and what projects you are proud of! O’Neil-Hart, C. (2017). Why You Should Lean into How-to Content in 2018. Retrieved from https://www.thinkwithgoogle.com/advertising-channels/video/self-directed-learning-youtube/. Rapt Media. (2018). Will You Fit into Deloitte. Retrieved from http://www.raptmedia.com/customers/deloitte/.